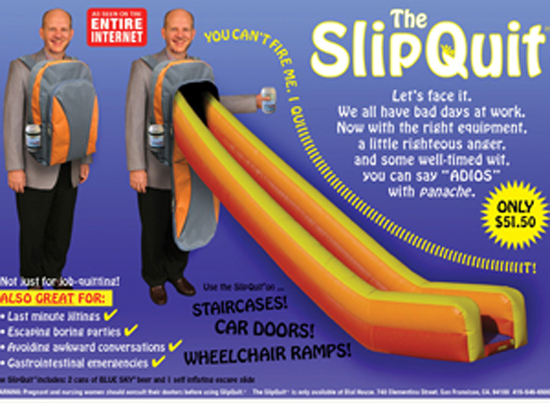 Well that took longer than expected: A San Francisco-based company has concocted the 'SlipQuit,' an inflatable slide that mimics the one now-famous flight attendant Steven Slater used to jump out of the JetBlue plane. Only problem...it's not real. Good thinking, though.